Mission Health is excited to host a nurse appreciation outing on Saturday, February 2nd at 2 pm for all nursing professionals in western North Carolina. 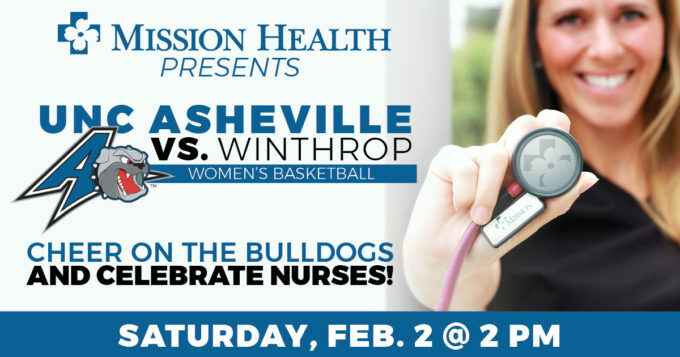 Bring your friends, and come out to help honor nurses and cheer the Bulldogs against old rivals, the Winthrop Eagles. The community and Mission Health team members are invited to attend, and aspiring nurses will have the opportunity to learn more about growing in their nursing career at Mission Health. Visit our table at Kimmel Arena and connect with our Recruitment and Talent Acquisition teams at the game. Click here to purchase your tickets online.